Funeral events can turn into a stressful job rather than a healing process with the increasing pressure of family and work demands in the United States as a society. Precious healing time spent packing the personal belongings of the deceased, remembering fond memories, and sharing all this with others must be done in a short period of time. How can a lifetime of memories, and hopefully many years of life, be packed it into a three to five day whirlwind of funeral event planning, house packing and goodwill donations? The hearts of those grieving for their loss haven’t even had time to fully recognize or often even accept their loss yet. In the weeks and months to come, the importance of a dedicated place for family and friends to meet and remember their loved one can be monumental as they travel along the grief recovery road. With the increasing popularity of cremation, family members are choosing to scatter ashes in meaningful places – gardens, lakes, oceans. This may be relevant at the time of the funeral event planning, though perhaps a decision made at the height of what is undoubtedly a highly emotional time for the direct family members of the deceased. Family and friends do not have a consistent place to connect with the memories of their loved ones. A permanent place of rest, such as a cemetery or mausoleum, which can be visited on a regular basis by all is an essential healing tool following a death. It can be a special place to memorialize, remember, laugh and cry. Special events such as birthdays, anniversaries, and holidays can be less painful for those struggling with grief if there is a dedicated place they can visit to maintain a connection with their now deceased loved one. Taking the time to recognize these remembrance opportunities with someone who is bereft or suffering from prolonged grief can be monumental to their recovery. Explore different ideas to turn this into a respectful, and dare say, even fun time for the person who is grieving. Butterfly release is gaining popularity across the United States. For children going through grief, this is an excellent therapeutic event! Working with them to garden and grow plants that will attract many species of colorful butterflies is a perfect time to spend visiting, remembering and sharing stories about their loved one who they maybe didn’t get an opportunity to know well. As the garden grows and butterfly metamorphosis begins to take place, children see life develop and take place right in front of their eyes, a true miracle you can experience and share with them! When their butterflies have matured, release them in memory of their loved one. On a larger scale, a butterfly release is a beautiful, affordable way to celebrate the life of a loved one. Live memorial butterflies can be shipped directly to a funeral home or shipped directly to your home for a planned event to arrive the day before. Note that this type of memorial must be planned in a warmer climate or during warmer months of the year with ideal temperature over 70 degrees. 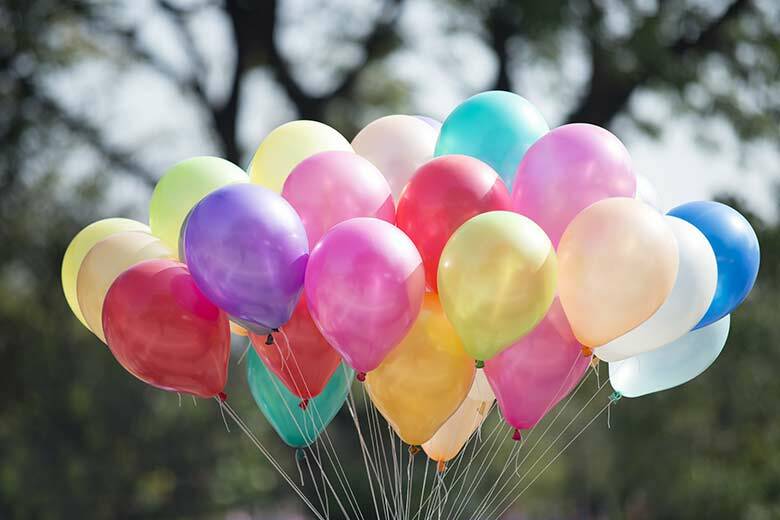 Another meaningful way to celebrate and remember loved ones is a balloon release during a funeral event. This can also be done after the funeral event or on the anniversary of a death. Encourage those who are grieving to write a note or letter to the deceased and attach it to the balloon. Writing provides an outlet to say things you may feel you never got to say, remember a funny story or simply let them know they are missed. However you choose to memorialize your loved ones, providing an outlet to celebrate and recognize these special occasions will undoubtedly provide joy, celebration and an opportunity for family and friends to connect with their past. Children will continue to grow with the anchor of their personal history and adults can continue to honor the transformed relationship they now, and always will have, with that person. Most importantly, those who are suffering grief and loss know they are not alone in this journey down a new path.